I have been using Liz Earle products for quite some years now. They have been part of my skin beauty routine for probably 6/7 years now. I admit it: Love at first sight! 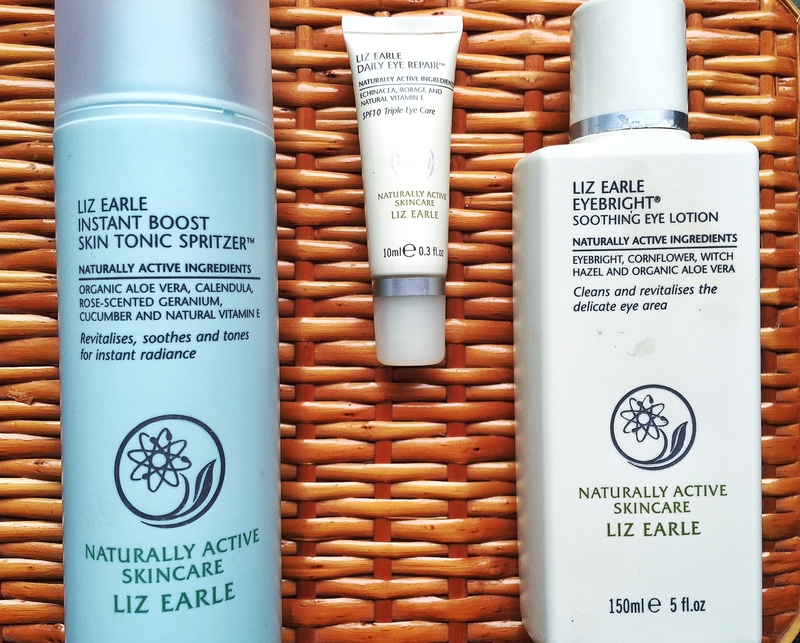 As you may know, I have talked about Liz Earle on a past post called, Must Haves in your Bag. Everything that they do and have,turn out to be wonderful products. All made with carefully selected NATURAL ingredients, which is what makes their brand so unique. They use plant oils and their extracts, combining them at a level that really make a difference in your skin. I have selected these three products for today’s post: Liz Earle Skin Tonic Spritzer, Liz Earle Eyebright and Liz Earle Daily Eye Repair. However, I must say, I have tried almost all of their products and I love them ALL. Liz Earle Skin Tonic Spritzer: Great Tonic to apply after your cleansing facial wash or even to apply anywhere along the day to refresh your skin, specially in the summer. Smells so good, but the best thing about it, is that it leaves your skin feeling so soft and moisturized it is unbelievable. No alcohol in it, which makes it even better for all skin types. Liz Earle Eyebright: This is a great gentle eye refresher. It will help you calm and relax your eyes whenever you feel the need for it. Just soak two eye pads, place them on your eyes and relax. Your eyes will probably glow after 5 minutes. I also use it as a eye make up remover, which works so nice and gentle in the delicate eye area. Great product. Must have. Tags: Beauty, beauty glow, Eye treatment, Eyebright treament, Liz Earle, Tonic for skin. Bookmark the permalink. I’m a massive Liz Earle fan too! I have tried the hot cloth cleanser and the roll on oil, which I also love!! Welcome to the fan club. I will be posting about Liz Earle shave cream for men, which is also awesome.